Latest Google Chrome browser update has one user interface change that did not go down well with loyal Chrome users. The + (Plus) sign on new tab button in Google Chrome browser is missing now. After latest update, you will see blank new tab button without the plus sign. As per Google, this has been done to further simply user interface of the browser. Remember, Internet Explorer 9 does not have + sign but Firefox still retains + sign on new tab button. Officially there is no option or feature for restoring + sign on new tab button. However, there is a simple and quick work-around to get back the + sign on new tab button. Following procedure is only for Google Chrome users on Windows (7, Vista and XP). 1. Close Google Chrome browser on your computer. Click on Start, type Google Chrome and then right click on Chrome listing. In the right click menu, click properties option and then click ‘Open File Location’ button in properties box. This will open folder with Google Chrome files. 2. Now double click on ‘17.0.963.46’ folder. Here find chrome.dll file and rename it to chrome.dll.bak file. If you do not see this file, make sure ‘view hidden files and folder’ option is enabled. 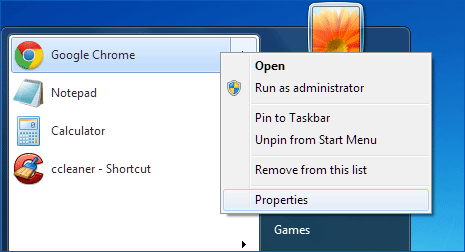 For this, while in above folder – press ALT key to view top menu. Then goto tools > Folder Options. In the new box, click on View tab at the top and then click to highlight “show hidden files, folders and drives”. Then click Apply and OK.
3. Once you find and rename chrome.dll file, download new file package from here [Not available now – giro54.deviantart.com/art/Chrome-17-Restore-in-New-Tab-Page-Button-284086681] with necessary modifications. Extract files of downloaded package and then copy new Chrome.dll file from the package folder to folder as opened in step 2. 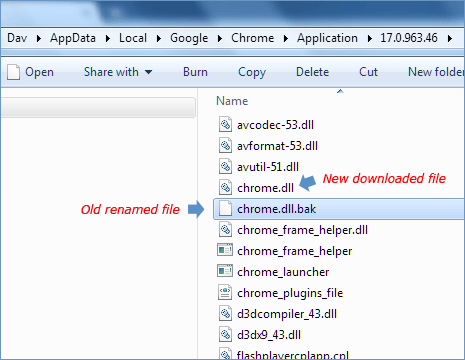 After renaming and copying new Chrome.dll file, launch Google Chrome browser. Now you should see (+) Plus sign restored on new tab button. You can also confirm on the fact, its latest Google Chrome browser with the + on new tab button (for this, click Wrench button in Chrome and then click About Google Chrome option). We’ve been having a lot of discussions internally about the new tab button and its visibility, and I wanted to make sure I fully understood what was going on before responding. Unfortunately when the simplified version of the new tab button went out it also drew its borders incorrectly causing it to be much less visible than it should have, particularly on windows/aero. Recent builds should have a more visible frame, and we’ve designed a much more prominent new tab button for the next visual refresh. While the plus is not going to make a reappearance, we are acutely aware of its visibility and clickability and are actively iterating and testing variants. Is this safe? To do this requires trusting giro54 of deviantArt, who I don’t know. I would like to have the plus button in Chrome browser, but it seems risky. I worry, you know?